This fully renovated brick front 2-story in a gorgeous established neighborhood is something special! NEW roof, NEW siding, NEW windows. 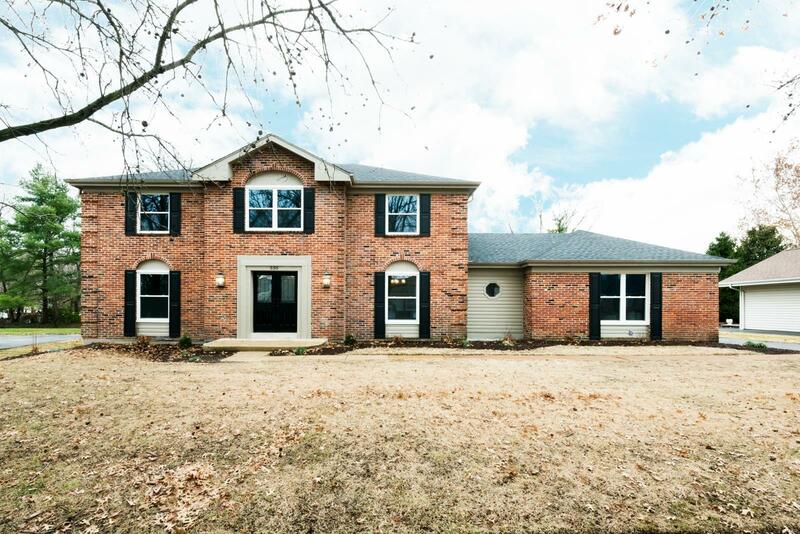 Step inside to find NEW wood floors, NEW doors & trim & NEW grey paint leading you past the flex room & dining room with board & batten walls & gorgeous NEW lighting to the family room with a fireplace & crown molding. The ALL NEW kitchen features granite counters, subway tile backsplash, white soft-close cabinets & stainless steel appliances. It opens to a NEW 4-season room with 2 sliding doors & a wall of windows for great natural light. Huge laundry room/mud room off the family entry with cubbies & hooks to store all your gear. Upstairs master suite includes a NEW ceiling fan & carpet, walk-in closet & private bath with dual sinks, soft close vanity & lovely tile shower & floor. Spacious family bedrooms & another NEW bathroom down the hall. Level irrigated yard & rear-entry garage. Parkway West Schools with elementary down the street. See it today!